Foot drop is a condition related to a neglected spine disorder or a sudden injury that damages the nerve in your foot. Urgent assessment and proper treatment is a must for quick and timely recovery. In this section our Chiropractic-in-Malaysia blog we will discuss root causes and best foot drop treatment options in Malaysia. Foot drop, weakness of the muscles in the front of the leg that lifts the foot, causes a high-stepping gait. People with foot drop tends to lift the leg to prevent the foot from dragging on the floor. There may be accompanying numbness or pain in the affected foot and leg. Foot drop is a symptom of underlying neuromuscular problems, it can be temporary or permanent. Injury or irritation to the nerve that supplies the muscles involved in foot lifting can result in foot drop. Herniated disc (slipped disc), spinal stenosis and sciatica are the most common causes of foot drop. Patients with slipped disc often complain of a sciatica-like pain. If the condition is not treated properly, it may lead to spinal stenosis. Spinal stenosis place an enormous amount of stress on spinal cord and spinal nerves. Prolonged stresses (impingement of spinal nerve or spinal cord) will always lead to damages within the neuronal tissue. As the damages accumulate, it leads to weakness and eventual loss of function. 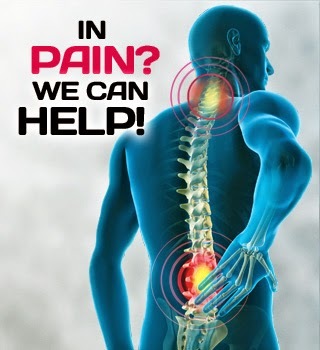 So, visit or call one of our centers and get the best non-surgical treatment for slipped disc through clinical chiropractic in Malaysia today. Direct external pressure is the most common cause of injury to the nerve. Habitual leg crossing, prolonged kneeling or squatting and prolonged use of a knee brace or plaster cast below the knee can irritate the nerve and cause foot drop. Ankle sprain or prolonged leg stretching may overstretch the nerve and the presence of Baker’s cysts at the back of the knee may cause compression on the nerve. Spinal nerve root damage due to disc herniations or other space occupying lesions can cause weakness in the muscles. People with diabetes or vitamin B12 deficiency are more susceptible to nerve injury. Less often, disorders in the brain or spinal cord such as stroke can cause foot drop. People with foot drop have increased risk of stumbling and falling, there are a few lifestyle changes that can prevent fall and injury.